"SC Division Sons of the Confederate Veterans: A Brief History - Access" by SC Division Sons of the Confederate Veterans: A Brief History, Dennis E. Todd et al. The South Carolina Division of the Sons of Confederate Veterans was organized at Richmond, Virginia in 1896 and is the direct heir of the United Confederate Veterans, and the oldest hereditary organization for male descendants of Confederate soldiers. 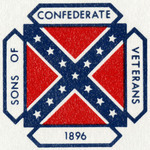 The South Carolina Division of the Sons of Confederate Veterans was organized at Richmond, Virginia in 1896 and is the direct heir of the United Confederate Veterans, and the oldest hereditary organization for male descendants of Confederate soldiers. This collection consists of a brief history of the organization titled South Carolina Division Sons of Confederate Veterans: A Brief History 1894-1991 which was compiled and written by Dennis E. Todd and edited by Robert Little Brown (attended Winthrop Training School from 1944-1947). The publication also includes the minutes of the organization meeting in 1896, minutes of 1897 convention, a list of the South Carolina camps, list of past commanders and various other information concerning the organization. The SC Sons of the Confederate Veterans: A Brief History were deposit to the Archives on January 15, 1993 by Commander Robert L. Brown. Louise Pettus Archives and Special Collections, Winthrop University, "SC Division Sons of the Confederate Veterans: A Brief History - Accession 810". Finding Aid 583.